A lightened up version of Pad Thai that will convince you to ditch your late night takeout habit. 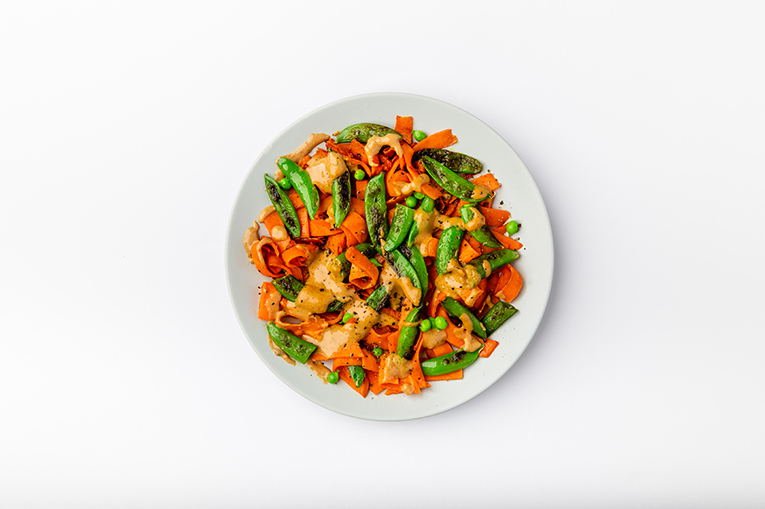 Includes our Sweet Potato Ribbons, our Thai Peanut sauce and our Pea Snaps. Did you know? Sweet potatoes improve blood sugar regulation, likely due to their high fiber content. 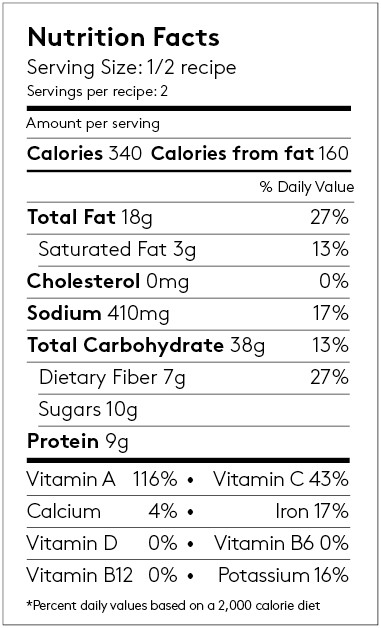 Note: Our Thai Peanut sauce has ¼ the sugar compared to the leading Thai peanut sauce brand.